It's been 10 years since Beth Taylor has seen the man she secretly gave her heart to as a teenager. Now he's her boss! Their relationship grew from the letters that passed between them when he was fighting in Vietnam and she was a high school senior; but he believed the letters where coming from Beth's beautiful older sister Jennifer, whom he had met in a Sydney nightclub the night before he was deployed. Can Beth put her feelings behind her and work with Nic? When Jennifer comes to town with Nic in her predatory sights, will Nic forgive the woman he believes broke his heart and again fall under her spell? Can Beth stand by and watch it happen or should she tell him the truth of the deception she and her sister committed all those years ago? By Wendy Mackie I loved this book. Interesting characters and storyline. Didn't want to put it down. Finished the book all too soon. By Mhenderson7 (Cincinnati, Ohio) I liked this ended happy. It kept my attention will tell friends great read. This author knows how to tell a great story. By Wendy Strudwick Loved the book. An easy read that had me hooked from the first paragraph. Great story, happy ending, what more could a girl want. Can't wait until the next one. I thoroughly enjoyed it! By Fiona This is a nice easy read just right for a lazy afternoon. Thoroughly enjoyed it. Would recommend this one for the girls 14 years and older. By L. A. Masters (San Antonio, TX) I've been trying to find a good book..one I could get lost in. Haven't had much luck lately. Then I start 'Love Me, Love My Sister' and couldn't put it down! 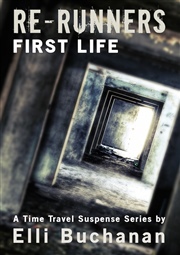 Great storyline and a real page turner. 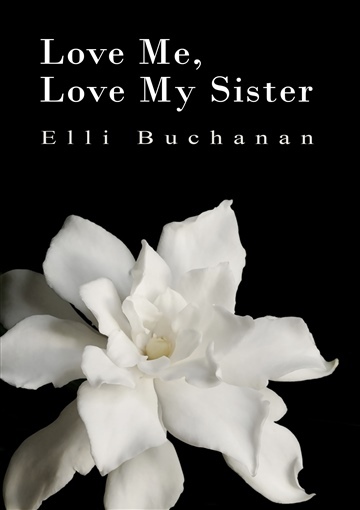 Elli Buchanan is a great writer and I look forward to her books in the future. Thanks so much Elli! By Margaret Brain At last we have an intelligent female protagonist. While the author has stayed true to the romantic genre she has introduced us to a woman in Beth who is intelligent, has successfully made her way in the world and best of all is not a simpering virgin. Well done Ellie. I can't wait for your next book. Captivating, enchanting and wonderful! I'm looking forward to reading more by Ellie Buchanan!!! Thanks for a great chick lit read. By Ashley Williamson When I got this book I really wasn't expecting much. I am more into paranormal romance so I was surprised by how much I loved this book! Once I started reading I couldn't seem to stop until I was finished. I loved all the character's in the story, well all except for the older sister Jennifer! I am really looking forward to reading more from this author especially if its about character's from Love Me, Love My Sister! I would love to see a story about Sally or Michael.